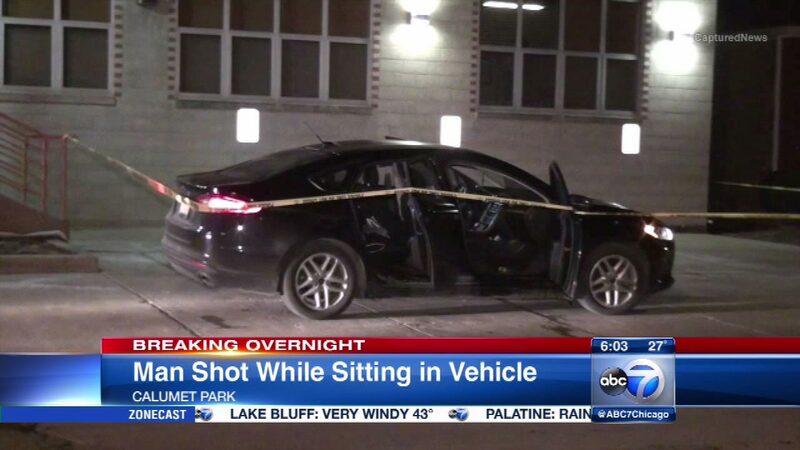 CALUMET PARK, Ill. (WLS) -- A 25-year-old man is dead after getting shot in the head inside a car in Chicago's Far South Side. Police say he was shot while sitting in the passenger's seat in the 12200-block of South Racine early Saturday morning. The driver took him to the Calumet Park Police Department where an ambulance took him to an area hospital, where he died.